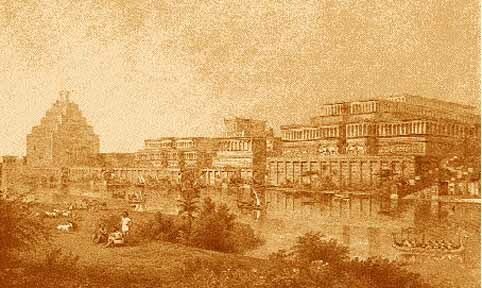  Nineveh, Assyrian Ninua was an important city in ancient Assyria. This "exceeding great city", as it is called in the Book of Jonah, lay on the eastern bank of the Tigris (modern-day Mosul, Iraq). Ancient Nineveh's mound-ruins are located on a level part of the plain near the river within an 1800-acre area circumscribed by a seven and one-half mile brick-rampart. This whole extensive space is now one immense area of ruins. If Jonah is referring to what some scholars call Greater Nineveh, the term could include the region around Nineveh proper with a sixty mile perimeter including Kuyunjik, Khorsabad, and Nimrud. Situated at the confluence of the Tigris and Khosr, Nineveh was an important junction for commercial routes crossing the Tigris. Occupying a central position on the great highway between the Mediterranean and the Indian Ocean, thus uniting the East and the West, wealth flowed into it from many sources, so that it became one of the greatest of all ancient cities. 6000 BC: First settlements of Nineveh. 2nd and 3rd millennia BC: Nineveh is a religious centre devoted to among other gods Ishtar. 9th century BC: Large architectural projects start in Nineveh with the initiative of rulers of the Assyrian Empire. 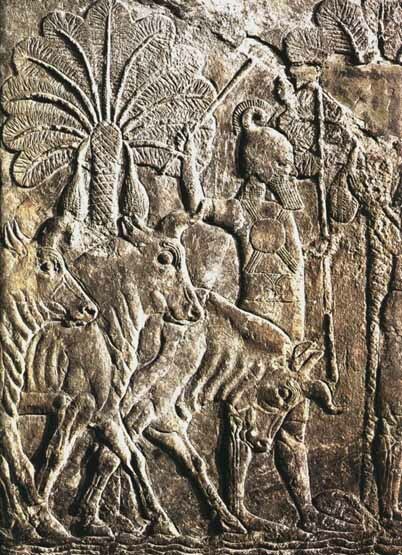 705 BC: King Sennacherib establishes Nineveh as the new capital of the Assyrian Empire, at the expense of Dar Sharrukin. Large scale construction work is started, together with the building of the largest palace of its time, which was 42,000 km2 large with at least 80 rooms. 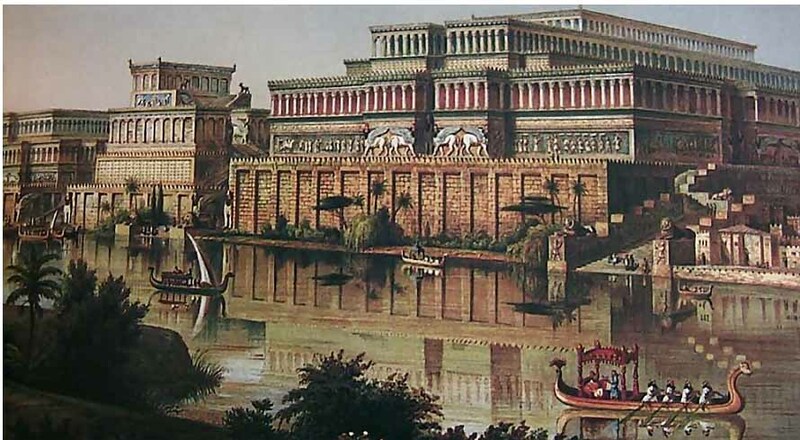 Around 650 BC: Under King Ashurbanipal, a new palace is constructed, together with a large library. Ashurbanipal - King of Assyria. He was grandson of the famous Sennacherib and son of Esarhaddon. Ashurbanipal, or, as he was known to the Greeks, Sardanapalus, reigned from 668 to 626 B.C. He is best known for amassing a library of literary texts including an epic of creation, the Flood and others. Modern scholars have reason to be grateful to Ashurbanipal because he was a lover of learning and collected a great library of cuneiform clay tablets (over 22,000 in number) that have given to us most of what we know of Babylonian and Assyrian literature. In Ezra 4:10, his name is also rendered "Asnapper" or "Osnapper". 612 BC: Ashurbanipal's successor held the Assyrian throne and at his death Sin-shar-ishkin became king. In the summer of 612, Nabopolassar, a Chaldean leader, aided by Medes and northern nomads, attacked, looted and destroyed Nineveh, an event that marked the crumbling of the last vestiges of power in Assyria and established the foundations for the Neo-Babylonian Empire. There is some evidence that the defeat of Nineveh was the occasion of rejoicing in Judah, although the Assyrians established a new capital at Harran. Within a few years Harran was conquered by the Medes. 13th century AD: Nineveh becomes an important city under Atabeg rulers. 16the century: The last settlements of Nineveh are abandoned. 1820: Nineveh is mapped by the British archaeologist Claudius J. Rich. 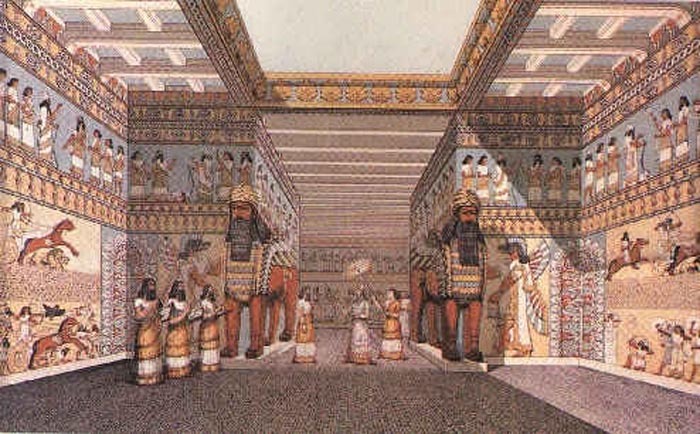 1845-51: The palace of Sennacherib is discovered.  Nineveh is mentioned about 1800 BC as a worship place of Isatar, who was responsible for the city's early importance. There is no large body of evidence to show that Assyrian monarchs built at all extensively in Nineveh during the 2nd millennium BC. When Sennacherib made Ninua his capital at the end of the 8th century BC, it was already an ancient settlement. Later monarchs whose inscriptions have appeared on the Acropolis include Shalmaneser I and Tiglath-Pileser I, both of whom were active builders in Asshur; the former had founded Calah (Nimrud). Nineveh had to wait for the neo-Assyrians, particularly from the time of Ashurnasirpal II (ruled 883-859 BC) onward, for a considerable architectural expansion. Thereafter successive monarchs kept in repair and founded new palaces, temples to Sin, Nergal, Nanna, Samas, Isatar, and Nabiu of Borsippa.  It was Sennacherib who made Nineveh a truly magnificent city (c. 700 BC). He laid out fresh streets and squares and built within it the famous "palace without a rival", the plan of which has been mostly recovered and has overall dimensions of about 210 by 200 m (630 by 600 ft). It comprised at least 80 rooms, of which many were lined with sculpture. Nineveh's greatness was short-lived. About 633 BC the Assyrian empire began to show signs of weakness, and Nineveh was attacked by the Medes, who subsequently, about 625 BC, joined by the Babylonians and Susianians, again attacked it. Nineveh fell in 612 BC, and was razed to the ground. 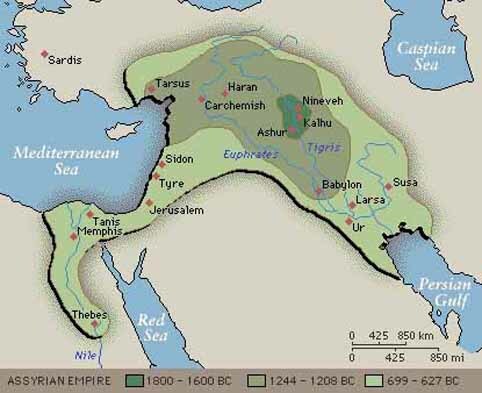 The Assyrian empire then came to an end, the Medes and Babylonians dividing its provinces between them. Following the defeat in 612 BC, Nineveh fades in importance. The city is mentioned again in the Battle of Nineveh in 627 CE, which was fought between the Eastern Roman Empire and the Sassanian Empire of Persia near the ancient city. Before the excavations in the 1800s, our knowledge of the great Assyrian empire and of its magnificent capital was almost wholly a blank. Vague memories had indeed survived of its power and greatness, but very little was definitely known about it. Other cities which had perished, such as Palmyra, Persepolis, and Thebes, had left ruins to mark their sites and tell of their former greatness; but of this city, imperial Nineveh, not a single vestige seemed to remain, and the very place on which it had stood was only matter of conjecture.In the days of the Greek historian Herodotus, 400 BC, it had become a thing of the past; and when Xenophon the historian passed the place in the Retreat of the Ten Thousand the very memory of its name had been lost. It was buried out of sight. Nineveh's location is marked by two large mounds, Kouyunjik and Nabi Yuknus "Prophet Jonah", and the remains of the city walls (about 12 km/7.5 mi in circumference). Kouyunjik has been extensively explored. The other mound, Nabi+ Yuknus, has not been extensively explored because there is a Muslim shrine dedicated to that prophet on the site.In the 19th century, the French consul at Mosul began to search the vast mounds that lay along the opposite bank of the river. 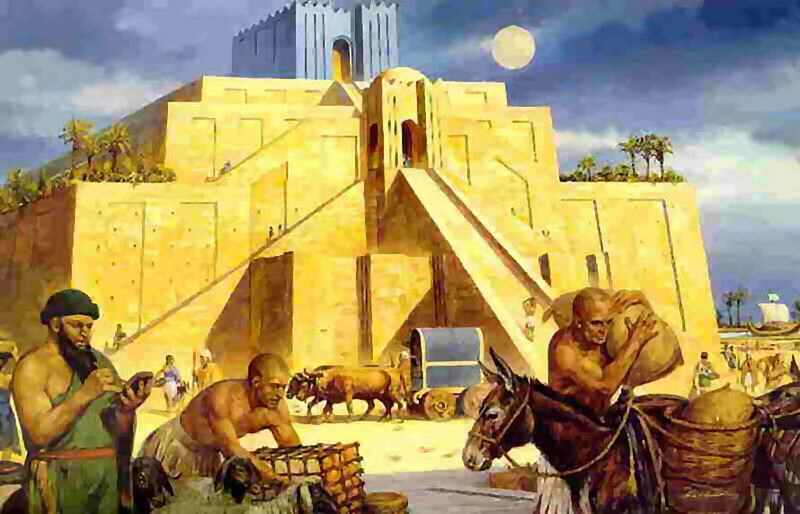 The Arabs whom he employed in these excavations, to their great surprise, came upon the ruins of a building at the mound of Khorsabad, which, on further exploration, turned out to be the royal palace of Sargon II, which were largely explored for sculptures and other precious relics.  In 1847 the young British adventurer Sir Austen Henry Layard explored the ruins. In the Kuyunjik mound Layard rediscovered in 1849 the lost palace of Sennacherib across the Tigris River from modern Mosul in northern Iraq, with its 71 rooms and colossal bas-reliefs. He also unearthed the palace and famous library of Ashurbanipal with 22,000 inscribed clay tablets. 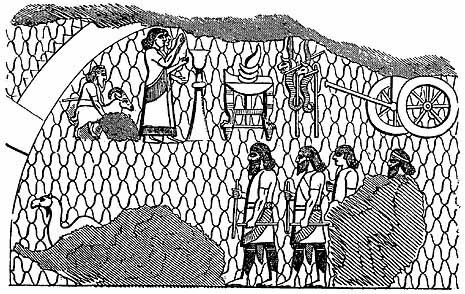 The study of the archaeology of Nineveh reveals the wealth and glory of ancient Assyria under kings such as Esarhaddon (681-669 B.C.) and Ashurbanipal (669-626 B.C.). The work of exploration would be carried on by George Smith, Hormuzd Rassam, and others, and a vast treasury of specimens of Assyria was exhumed for European museums. Palace after palace was discovered, with their decorations and their sculptured slabs, revealing the life and manners of this ancient people, their arts of war and peace, the forms of their religion, the style of their architecture, and the magnificence of their monarchs. 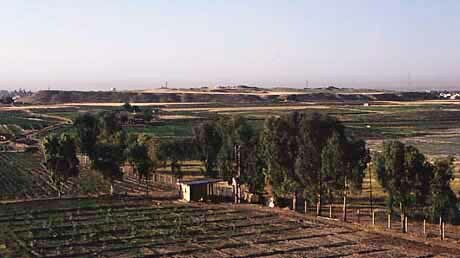 The mound of Kuyunjik would be excavated again by the archaeologists of the British Museum, leaded by L.W. King, at the beginning of the twentieth century. The efforts concentrated on the site of the Temple of Nabu, the God of writing, where another cuneiform library was supposed to exist. However, no such library was ever found: most likely, it had been destroyed by the activities of later residents. The excavations started again in 1927, under the direction of Campbell Thompson, who had already taken part in King's expeditions. These excavations, however, were rather unfortunate. 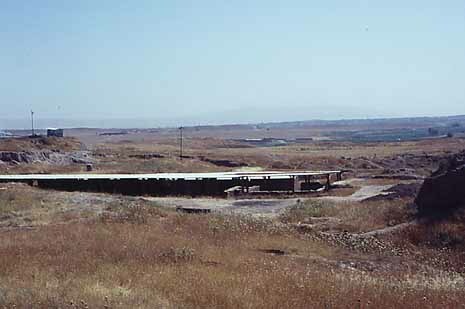 Some works were carried out outside Kouyunjik, for instance on the mound of Nebi Yunus, which was the ancient arsenal of Nineveh, or along the outside walls. Here, near the North-Western corner of the walls, beyond the pavement of a later building, the archaeologists found almost 300 fragments of prisms recording the royal annals of Sennacherib, Esarhaddon and Ashurbanipal, besides a prisms of Esarhaddon which was almost perfect. After the Second World War, several excavations had been carried out by Iraqi archaeologists. This find generated an excitement that is difficult to imagine today, because amid the increasing religious doubt and scriptural revisionism of the mid-nineteenth century, it gave Christian fundamentalists an independent eyewitness corroboration of a biblical event, written in the doorway of the very room where Sennacherib may have issued his order to attack. The palace's interior walls were paneled with huge stone slabs, carved in relief with images of Sennacherib's victories. Here one could see the king and army, foreign landscapes, and conquered enemy cities, including a remarkably accurate depiction of the Judean city of Lachish, whose destruction by the Assyrians was recorded in II Kings 18:13-14. Within Nineveh there are two citadels or tells called Kuyunjik and Nebi Yunus (Prophet Jonah). Of these only Kuyunjik has been extensively explored. The other mound, Nebi Yunus has not been extensively explored, because there is a Muslim shrine dedicated to the prophet Jonah (Nebi Yunus in Arabic) on the site. A whale bone hangs inside the mosque/shrine on Nebi Yunus, recalling the story of Jonah and the whale. A major site of particular importance to those interested in the archaeology of the Bible is the palace of Sennacherib in Nineveh. Unfortunately Sennacherib's palace was vandalized in the 1990's. Assyrian reliefs from the palace, which had survived for centuries, were apparently broken, and fragments have appeared on the market. Considering that the palace had been destroyed by an intense conflagration during the sack of Nineveh in 612 B.C., the massive walls and many of the relief sculptures of Sennacherib's throne-room suite were surprisingly well preserved. 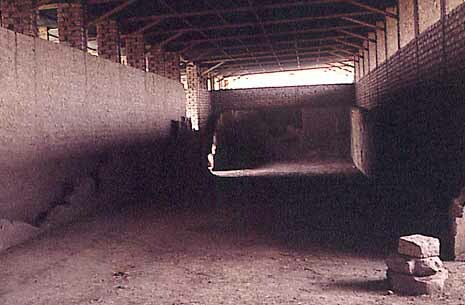 In the 1960s, because of the palace's historical importance and unique preservation, the Iraq Department of Antiquities consolidated the walls and sculptures and roofed the site over as the Sennacherib Palace Site Museum at Nineveh, where visitors could tour one of only two preserved Assyrian palaces in the world. (The other is the palace of Assurnasirpal II at Nimrud, also restored as a site museum.) The four restored rooms of the throne-room suite, designated H, I, IV, and V by Layard, contained some 100 sculptured slabs in various states of preservation. In two of these rooms, IV and V , parts of nearly every slab survived, making these the most completely preserved decorative cycles in the palace. Most of these reliefs have never been published. Some show unusual subjects and provide valuable information on visual narrative composition in Assyrian palace decoration. These reliefs needed to be documented in case the originals were lost or damaged and to guide future conservation efforts. Layard unearthed the great palace of King Sargon along with a library of over 22,000 cuneiform documents. 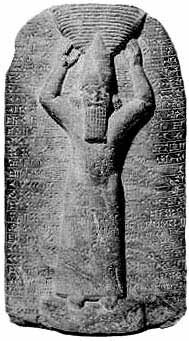 King Sargon was mentioned by Isaiah the prophet (Isa. 20:1). A large number of tablets were found in the palace. Some of the principal doorways were flanked by human-headed bulls. At this time the total area of Nineveh comprised about 1,800 acres (7 km), and 15 great gates penetrated its walls. An elaborate system of 18 canals brought water from the hills to Nineveh, and several sections of a magnificently constructed aqueduct erected by the same monarch were discovered at Jerwan, about 40 km (25 miles) distant. In the Bible, Nineveh is first mentioned in Gen. 10:11, which is rendered in the Revised Version, "He [i.e., Nimrod] went forth into Assyria and builded Nineveh." It is not again noticed till the days of Jonah, when it is described (Jonah 3:3ff; 4:11) as an "exceeding great city of three days' journey", i.e., probably in circuit. This would give a circumference of about 100 km (60 miles). At the four corners of an irregular quadrangle are the ruins of Kouyunjik, Nimrud, Karamless and Khorsabad. These four great masses of ruins, with the whole area included within the parallelogram they form by lines drawn from the one to the other, are generally regarded as composing the whole ruins of Nineveh. Nineveh was the flourishing capital of the Assyrian empire (2 Kings 19:36; Isa. 37:37). The book of the prophet Nahum is almost exclusively taken up with prophetic denunciations against this city. Its ruin and utter desolation are foretold (Nah.1:14; 3:19, etc.). Its end was strange, sudden, tragic. (Nah. 2:6-11) According to the Bible, it was God's doing, his judgement on Assyria's pride (Isa. 10:5-19). In fulfilment of prophecy, God made "an utter end of the place". It became a "desolation". Zephaniah also (2:13-15) predicts its destruction along with the fall of the empire of which it was the capital. Nineveh's exemplary pride and fall are recalled in the Gospel of Matthew (12:41) and the Gospel of Luke (11:32). On 15 Oct. 2005, the province of Nineveh cast the deciding votes in the referendum for Iraq's Constitution. One of three mostly Sunni provinces whose veto could defeat the constitution, Nineveh was closely watched through the extended electoral count.Home to a diverse population of Sunnis and Kurds, as well as the oil processing center Mosul), Nineveh promises to play a large role in Iraqi politics into the future.